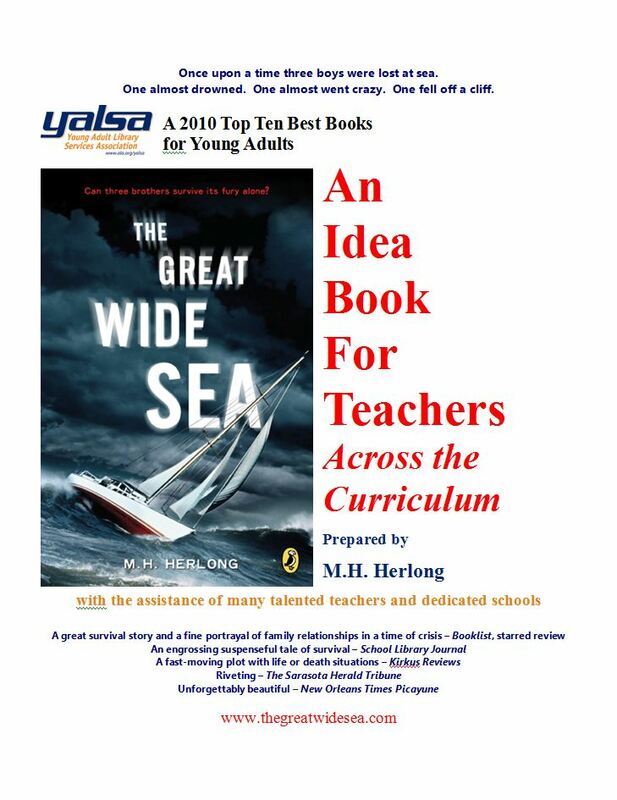 The Great Wide Sea is an ideal book for use in the classroom. The adventure story holds students’ attention while the layers of thematic material, narrative style, and wealth of information offer teachers tremendous opportunities to open mental doors for students. Drawing from my own experience in the classroom and the experience of numerous teachers who have taught The Great Wide Sea, I have created a wide range of materials useful throughout the curriculum. Print out a PDF of the entire Idea Book here.